Employs a high-quality, variable-speed, air-driven reciprocating handpiece similar to our popular electric Di-Profilers. 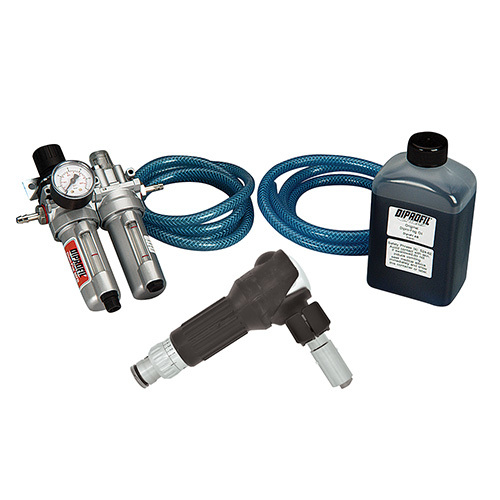 The FPD Air Di-Profiler accepts tools up to 1/4" in diameter. Measures 6-3/4" long x 1-1/4" diameter. Weighs 2 lbs. Stroke length is 0-6.0mm. Strokes per minutes: 10,000. Requires 57 PSI of air at 0.18-2.3 CFM. Please note: this is a non-stock item. Please allow 3 weeks for delivery.